The islamophobic raving in question was essentially nothing other than an attempt to distort an incident of noise and juvenile delinquency into inter-religious and racial hatred and conflict. According to KISA’s confirmed sources, the night of April 4th, Good Wednesday, outside the church of Faneromeni in the centre of the old city of Nicosia, a group of young people ended up quarrelling intensely with each other, causing a nuisance. It is known that the particular area is a daily hangout spot for groups of alternative and socially marginalised young people. This incident happened, according to our reliable information, exactly in the manner described above, with no religious or racial dimension at all. As expected, the argument between the aforementioned young people caused a disturbance for the churchgoers. This incident was then presented on Sigmalive first and then republished by other electronic media outlets, both in Cyprus and Greece, as an attack by Muslim fundamentalists against Orthodox churchgoers present at mass. Based on eyewitnesses, the news was transmitted by a particular journalist at Sigmalive, who was at the church and intervened unsuccessfully in the incident. 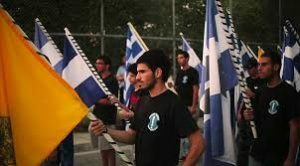 These articles have provided an excuse for a storm of commentary on social media that spread hate and often reached the point of calls for extreme reactions, even including physical violence, to face the alleged phenomenon that has been claimed to occur systematically and results in Christian Greek-Cypriots being at risk daily. It is important to underline that the reported incident occurred in the presence of a police officer, who can confirm the fact that the dispute had no intent to cause any harm whatsoever to the churchgoers on Good Wednesday, nor did it begin on such grounds. Indeed, the official statement by the police declares that there was no intent of racial or religious attack from the people involved in the conflict, who are not Muslim, while some are Greek-Cypriots. The Media and the managers of social networking sites to be very careful regarding the (re)publication of unconfirmed news relating to hate speech that can only result in the promotion of racism and religious and racial hatred. The competent authorities (police, independent authorities and the Attorney General) to examine the commitment of possible crimes both by ELAM and by the involved media outlets for hate speech and incitement to violence against persons because of their religion and/or ethnic background.